Check out what the Magical Express at Walt Disney World has to offer with the Magical Express: A Disney World Review. Your chariot awaits, my Disney loving peeps! 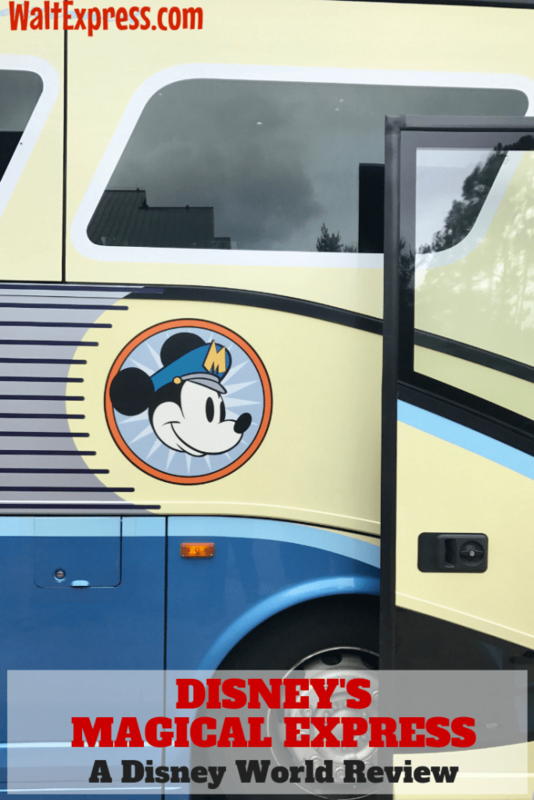 The magic begins early when you take advantage of Walt Disney World’s Magical Express Service. 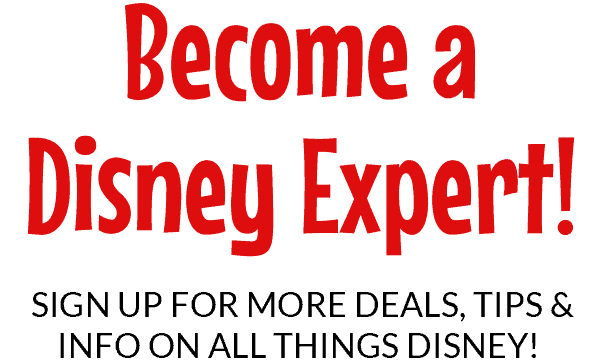 This is a service that provides you with complimentary shuttle service from the Orlando International Airport to your resort at Walt Disney World and also includes return service back to the airport. For those of you who are located far away from Orlando or who simply prefer, you will begin your Walt Disney World vacation at your local airport. When you arrive, check your baggage at your local airport ensuring that the Magical Express luggage tags have been attached to your bags. 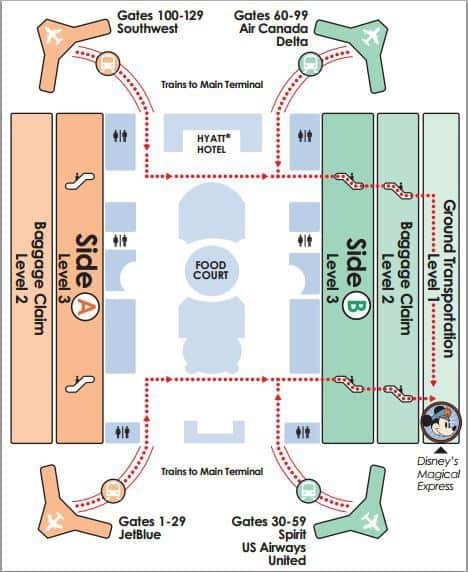 You will receive luggage tags in the mail from Disney’s Magical Express (this is so your luggage can promptly be taken to your resort and room) about 2 to 3 weeks before your flight. If you do not receive these or you made your reservations within the 2 to 3 week window, no worries! Just have your baggage claim numbers ready upon arriving and Disney will take care of the rest. Upon arriving at the Orlando International Airport (MCO), you can proceed straight to the Magical Express check-in if you are arriving between the hours of 5:00 a.m. and 10:00 p.m. During those arrival hours, there is no need to worry about locating your bags, because they will magically appear in your room at your resort. If you are arriving before 5:00 a.m. or later than 10:00 p.m., you will need to grab your luggage from the baggage claim. If The Magical Express is delivering your bags, It can take up to 3 hours for your luggage to arrive, so be sure to pack anything that might be needed immediately in a carry-on bag. Don’t forget those magic bands! The best part about this service is that you do not have to be in your rooms to receive your luggage. As soon as your flights are booked, let your Disney travel planner know or call Magical Express directly, (866) 599-0951. Your reservations will need to be updated in My Disney Experience and with the Walt Disney World Resort that you will be staying in. We have included a few tips for making your trip on the Magical Express even more magical! Upon arriving at the Orlando International Airport, you will take the train from your arrival gate to the main terminal. You will be on Level 3. Head to Disney’s Magical Express (don’t worry, there are signs everywhere) located on Side B, Level 1, Ground Transportation. 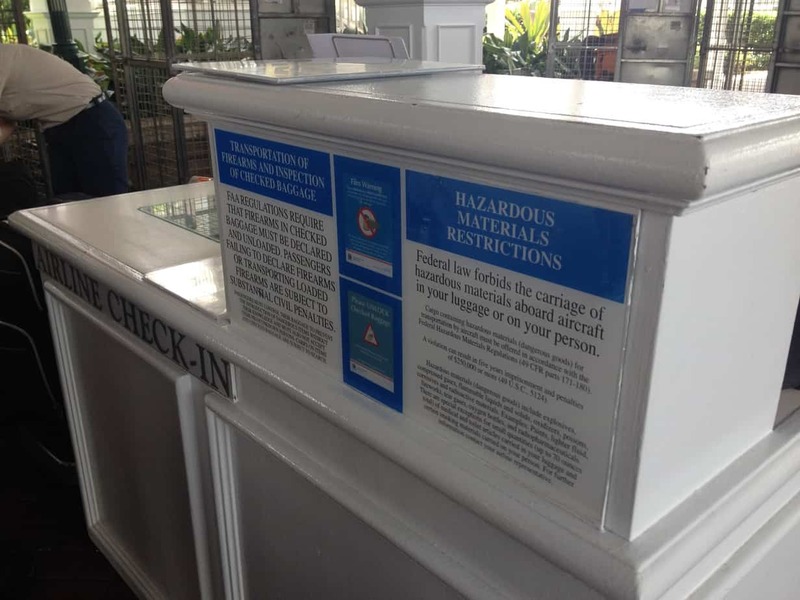 Guests arriving on Side A of the airport should proceed to Side B before taking the elevator or escalator down to Level 1. PLEASE NOTE: Orlando International Airport is extremely large and can be a long walk. If assistance is needed, please be sure to ask. They are more than happy to help! On our last flight, my mom needed wheelchair assistance, so we called the airport a couple of weeks in advance and a wheelchair was waiting on her. If you will be arriving in Orlando from outside the US and going through Customs in Orlando, you will have to collect your own bags and walk through Customs with them. At that point you can take the luggage with you and check in for the Magical Express bus, or you can hand off the luggage to a Magical Express representative who will have it transported to the hotel. Guests must be 16 or older to travel unaccompanied on Disney’s Magical Express. Don’t forget!! Have your MagicBand with you when checking into Magical Express. When I left the house that morning, while going to the airport bound for Walt Disney World I went ahead and put my MagicBand on my wrist. If your Magical Express bus driver helps you with your luggage or does an exceptional job, please think about a gratuity. They work very hard to keep this service magical and safe for all guests. When you are ready to return to the Orlando airport you will receive a notification (usually delivered to your room) prompting you to check in at a certain time using Resort Online Check In. The pick-up time for your return to the airport will be approximately 3 hours prior to your flight time. You will bring your luggage down to the resort’s Airline Center or just call and they will come to your room and bring them for you. We like to schedule a later flight and hit the parks one more day. Just bring everything to the baggage claim and they will hold any carry-ons for you until you return! Child safety seats are not recommended for use on the motor-coach. Not all motor-coaches have seat belts and the seat belts that may be present may not properly secure the child safety seat.Children can sit on an adult’s lap or occupy their own seat. Child safety seats may be stowed in the storage compartment underneath the motor-coach. Disney’s Magical Express is available only to guests staying at the official hotels/ resorts owned and operated by Disney. 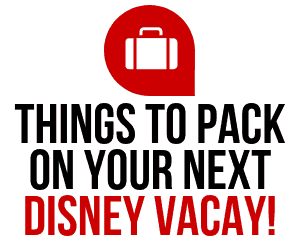 We hope this helps with your future travel to Walt Disney World! Do you have more questions about Disney’s Magical Express? 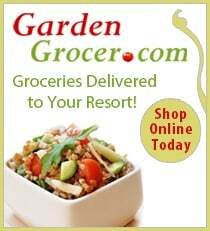 Click the link for a great list of FREQUENTLY ASKED QUESTIONS! 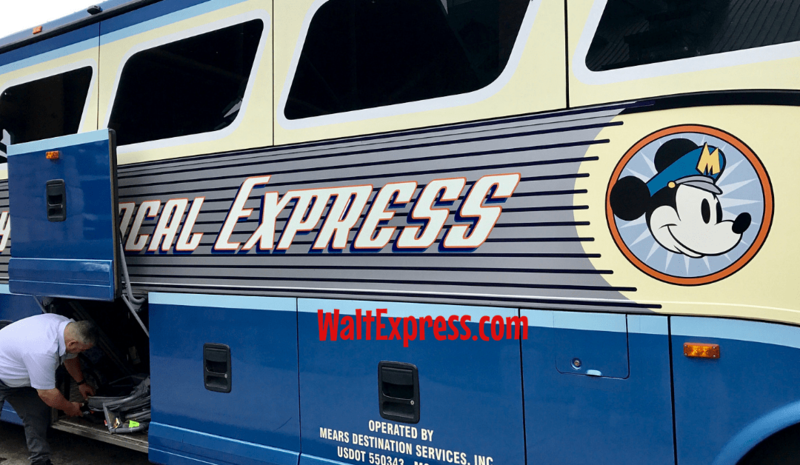 Tell us about your experiences with Walt Disney World’s Magical Express. Do you have tips, advice, or more questions? 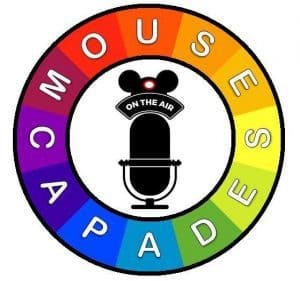 Chat with other Disney loving peeps and join the Disney Express Lane Facebook Group to discuss this and other Disney fun!